Since I posted last time, I have another new granddaughter! Meet Vivian Anne! Born to my oldest son Jonathan and his wife Becca! She's a bit sleepy here, just after feeding and getting burped! What a wonder it is to see your own child with their first child! 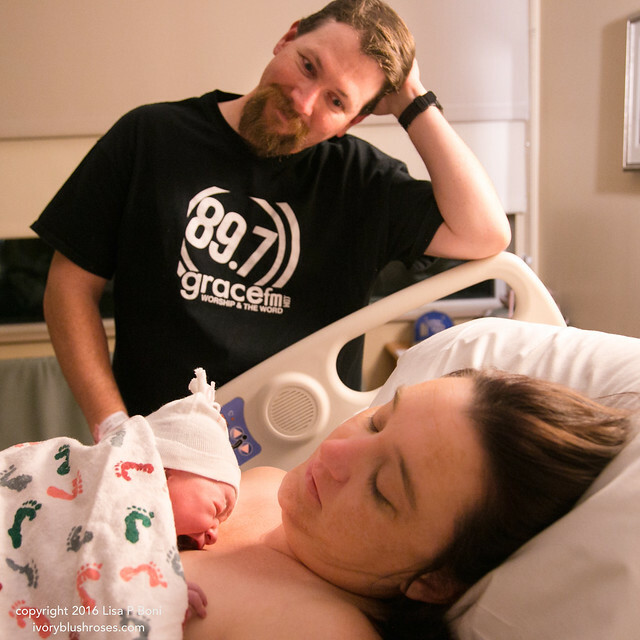 Jonathan and Vivian have spent lots of time bonding while Mama catches up on sleep! 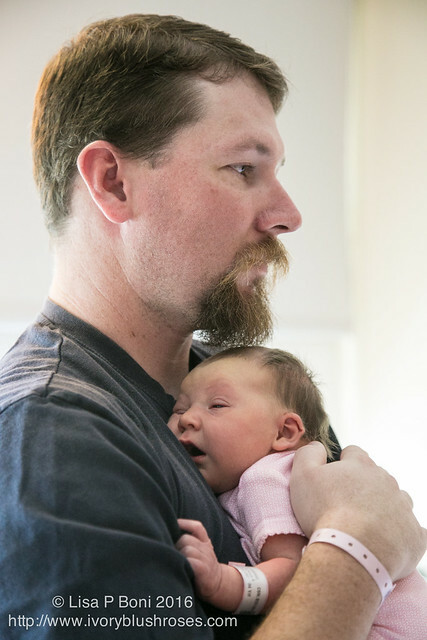 They had a bit of a rough start with an emergency c-section, but are all doing great now! 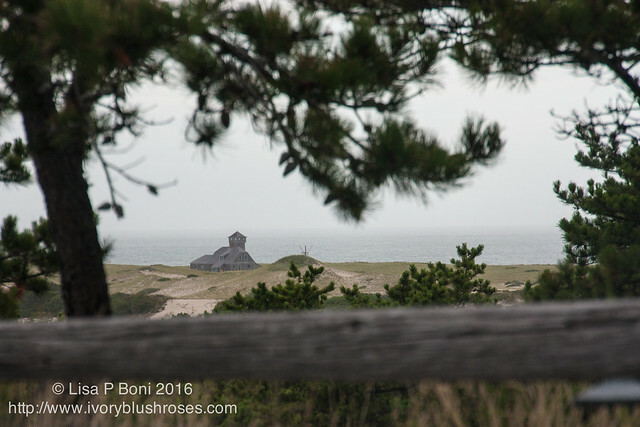 Time to finish up a bit more about my trip to Cape Cod! 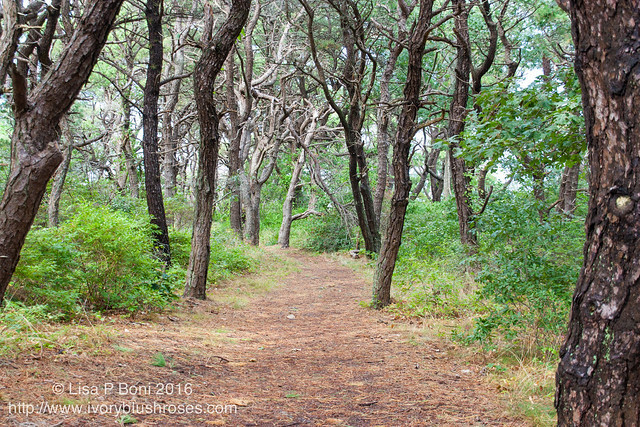 While out exploring Cape Cod National Seashore, I hiked a few of the shorter trails through the woods. This one led to the site of the Pilgrim Spring. Things change a lot over 400 years and the spring is no longer, though the site is marked. I loved the soft trail through the oak woods. So different from the pine & fir forests of the mountain west! I loved seeing this shrub! 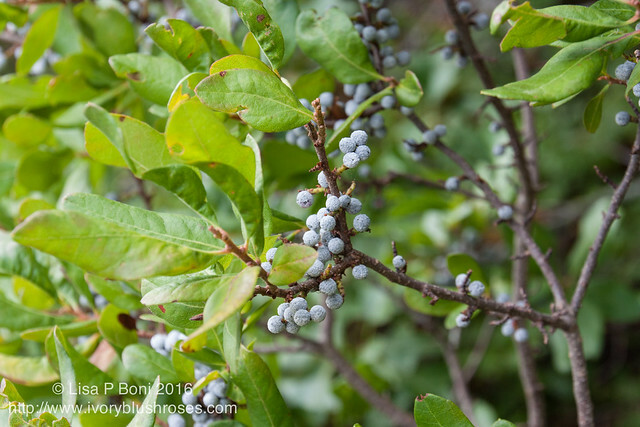 Bayberry! It is my favorite scent of Christmas, and in the past, when I was doing things like dipping candles, I once made a dozen or so teeny tiny bayberry wax candles to burn at the holidays. The wax was ever so expensive and I quickly learned to mix it with beeswax to make it go further! Seeing these tiny waxy berries made it clear why the wax was so expensive. It would take a huge number of these teensy berries to provide enough wax for one tiny candle! 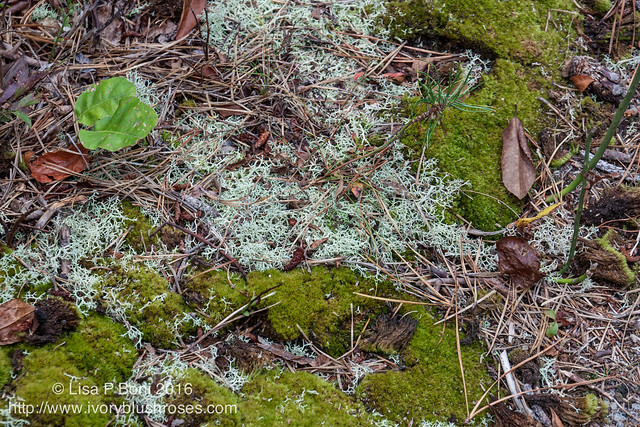 Loved the mossy ground under the trees. 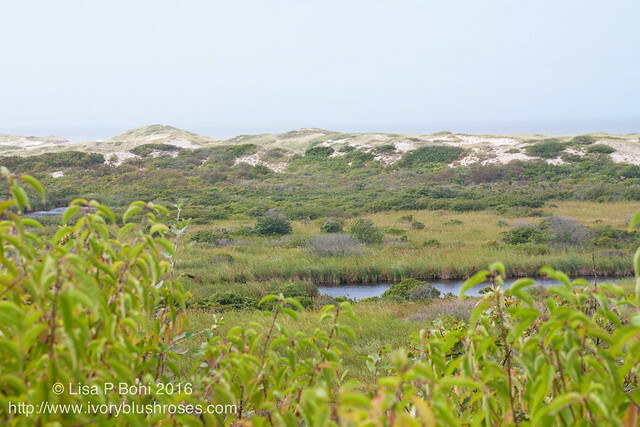 While walking in the woods, the trail seems ever so far from the shore, but then the trail came out upon this lovely vista of dunes and marsh and the sea beyond. So lovely! At the Provincetown visitor center, there was a lovely view of the life saving station. It was late enough in the day that most people had left the beach. 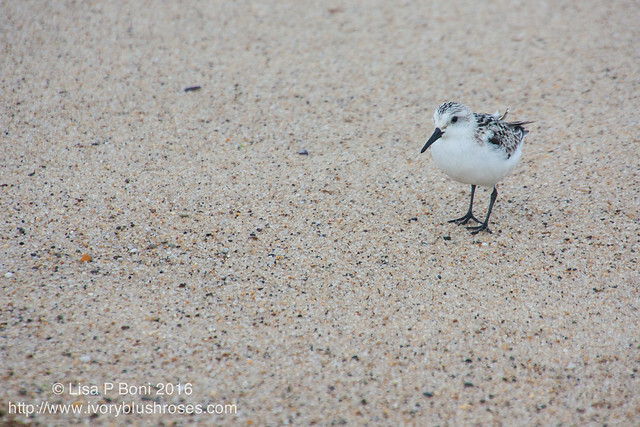 I loved watching this little sanderling searching along the wave lines on the beach for tidbits to eat. So pretty! 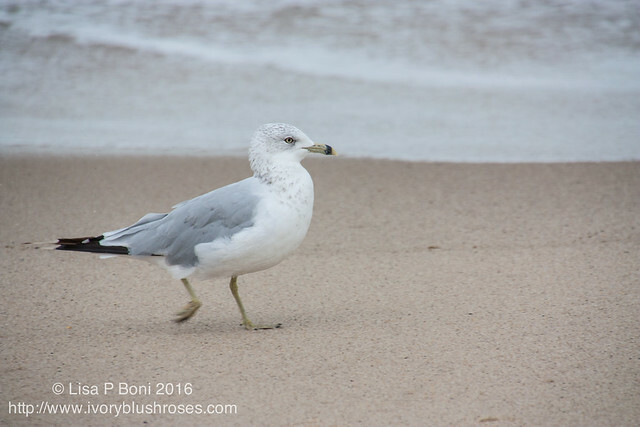 A ring-billed gull was taking what seemed a leisurely walk along the beach! 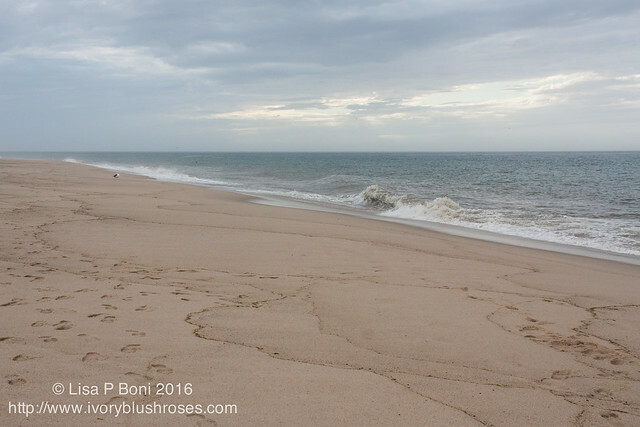 Love the patterns that the waves leave on the sand. Just gorgeous. 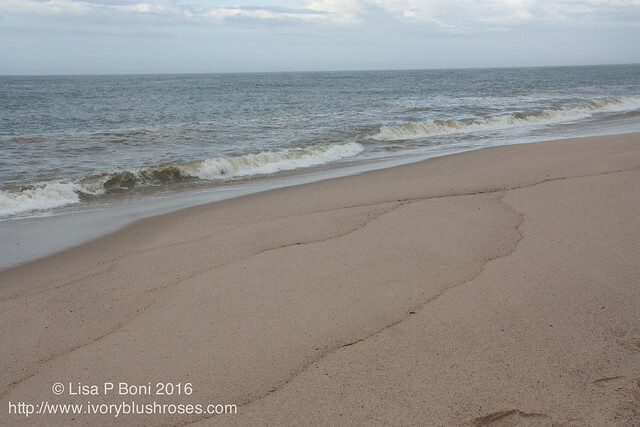 And so different on this north shore of the cape than on the outer bank. 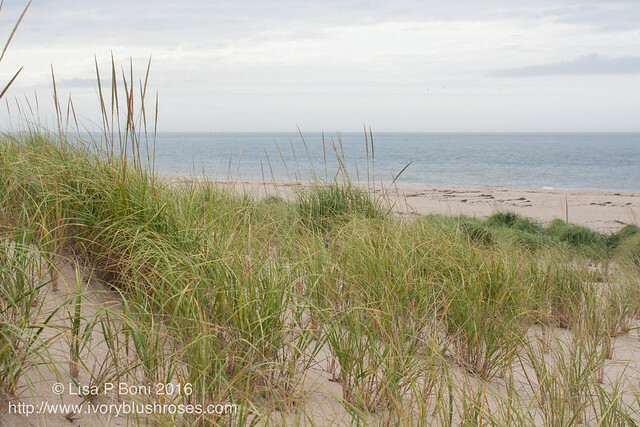 Lots of lovely dune grass here. With that, my time on Cape Cod came to an end. What a wonderful trip it was! Di and her husband John were splendid hosts, and I came back renewed from my time with them! On the way back to the airport in Boston, I stopped at Plimoth Plantation, a place that I have wanted to visit for most of my adult life! Loved walking through the village, peering into the houses, exploring the gardens, and meeting the people. What fun to see this Eastern chipmunk! 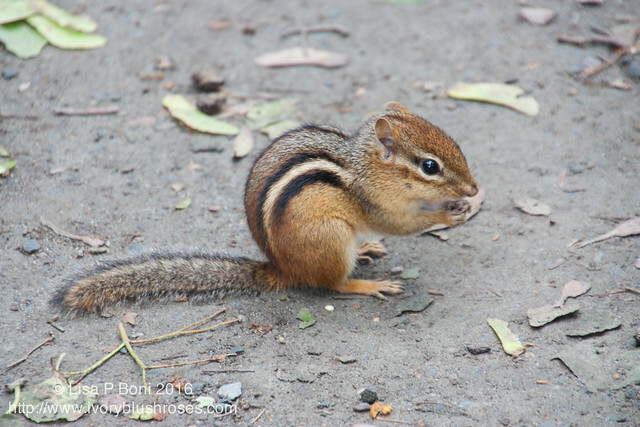 It is much larger and much redder than the Colorado Least chipmunks that we get in the Colorado mountains! On the Cape and in Plimoth, I was fascinated by these striking plants. No one I asked could tell me what they were. But I love their brilliant fuchsia stems, the perfect little storybook white flowers they produce while in the blooming stage, the little purple berries and the green seedpods. Found it so interesting! I took photos of it in several locations but this one was particularly striking! 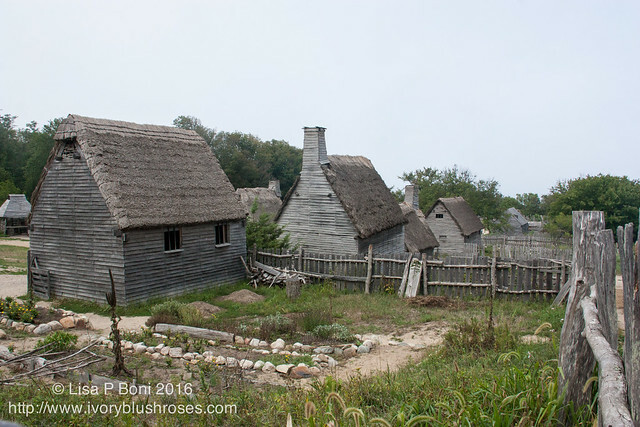 I don't know that I have ever been to a living history museum where the docents stay in character as well as they do at Plimoth Plantation! Truth be told, I find it a little uncomfortable to interact with them, like I'm intruding upon them somehow. Their presence and demeanor really does provide a great in person look at the time and place though. 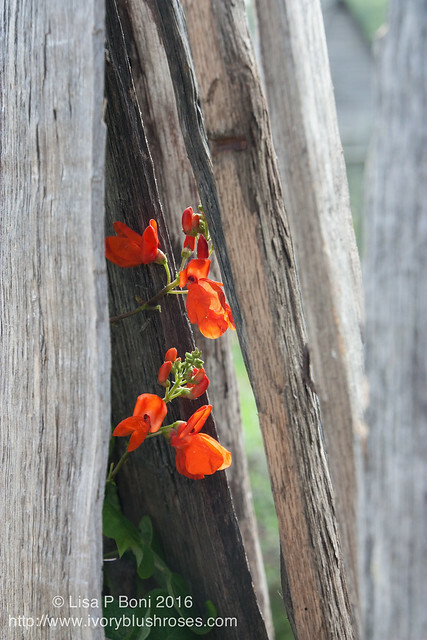 On my way out, I spotted this flash of brilliant color peering from between the vince boards around a garden! At home the kitties were so glad to see me! 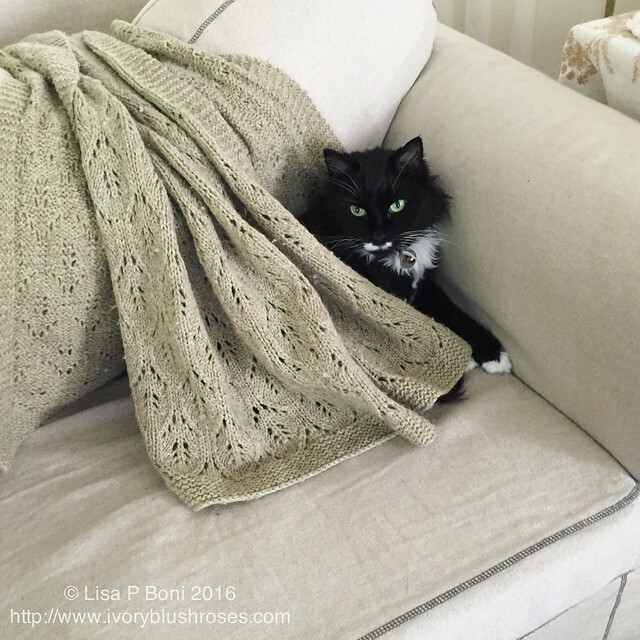 Kitzy learned a new trip of pulling the afghan over herself while sitting in my chair! The day after I got home, a group of the childbirth educators that I used to teach with years ago, had a lovely party at the mountain home of one of them! 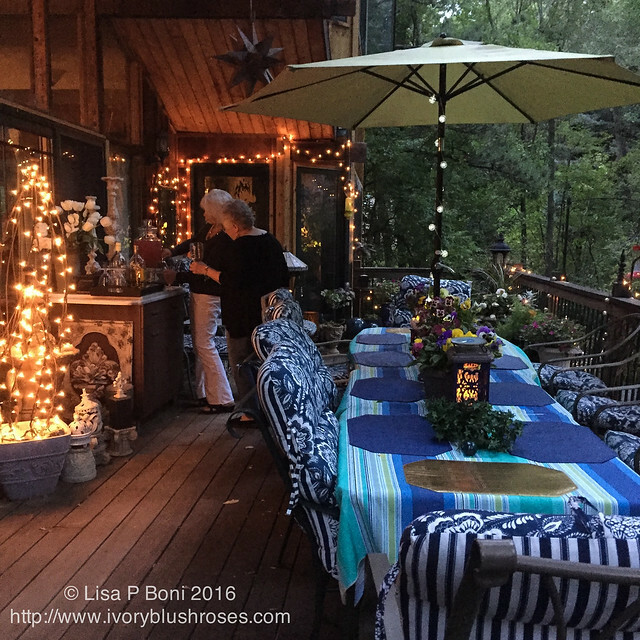 So much fun to sit alongside the mountain stream in the cool evening air amongst the fairy lights and magical atmosphere and visit with these dear old friends! Those purple berries look like poke berries. As kids we were not supposed to bother that plant but it was useful for painting and ink so worth the risk of being reprimanded. Eating pokeberries can pose a risk for birds, particularly late in the year. It seems that pokeberries will sometimes ferment, intoxicating birds that eat them. 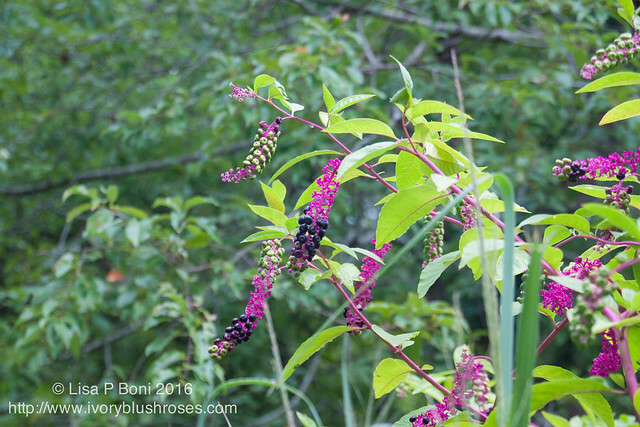 Although all parts of the pokeweed – berries, roots, leaves and stems – are poisonous to humans, some folks take the risk of eating poke salad each spring. Willa is right, or so my son tells me. Earlier this month he sent me a picture of the "berries" on his fence. He says it is pokeweed, and "Apparently every part of it is poisonous to humans, and I should eradicate it from our yard." Beautiful pictures. Congratulations on your granddaughters! 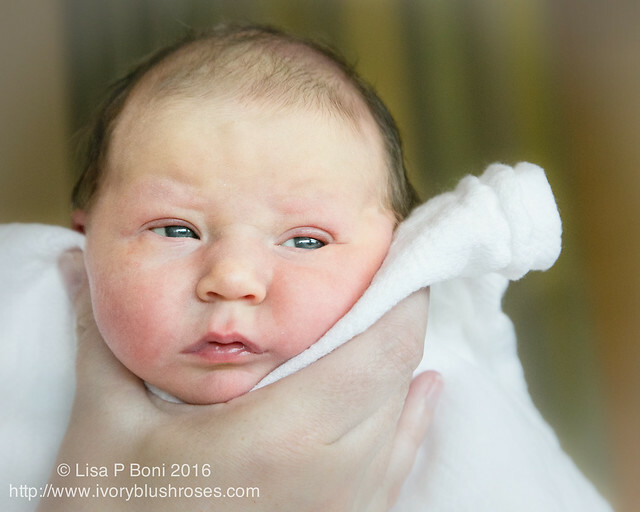 Your new grandaughter is lovely, and I loved all of your other photos. Congrats on your sweet new grand-daughter. Glad she and Mom are doing fine. Dad looks happy. What a great time you had and I thank you for sharing all of the pictures. I was going to comment about what we call "pokeberries" but I see others must call them that, too! Lisa, I love the way that you capture the beauty in the ordinary, what others just walk by. I'm just a "point and shoot" kinda gal, so what do you use for these results? What's more, how do you keep and organize these lovely shots? I guess I just need to take a class on digital photography. Any suggestions?